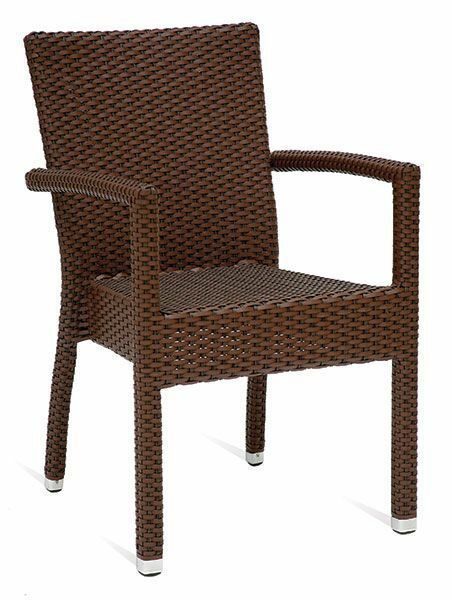 Outdoor weave armchair in a Brown synthetic weave and designed for outdoor commercial use. Available from stock for a free and fast delivery. All weather weave armchair in brown weave suitable for contract use outdoors.